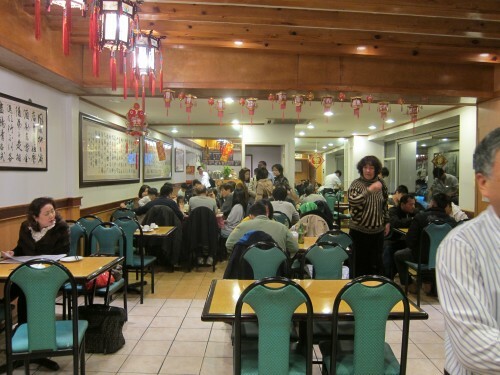 Fu Run Restaurant in Flushing is just as non descript as its teeming neighbors. 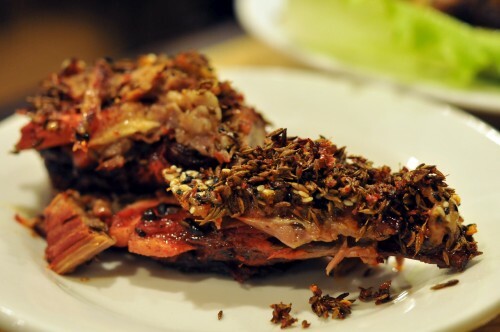 What sets it apart is a few signature dishes that keep the crowds coming back for more. 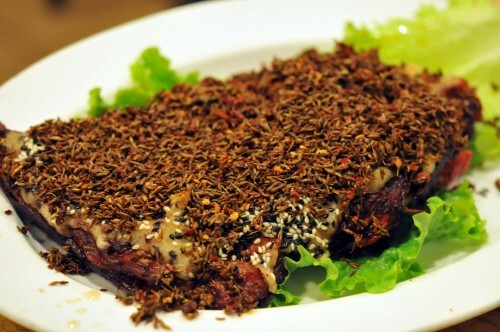 Fu Run’s most popular dish is the Muslim Lamb Chops made with really tender lamb, which is smothered in cumin seeds and other spices. The dish really has an interesting kick to it though I found it a little too overwhelming. My favorite dish of the night was the Fried Pork in Orange Sauce. 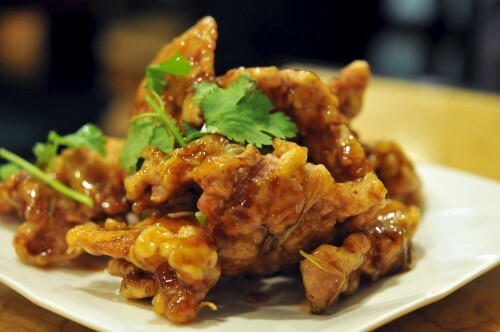 They crisp fry thin slices of pork and cover it in a tangy, tasty orange sauce with the right hit of spice. It was delicious. 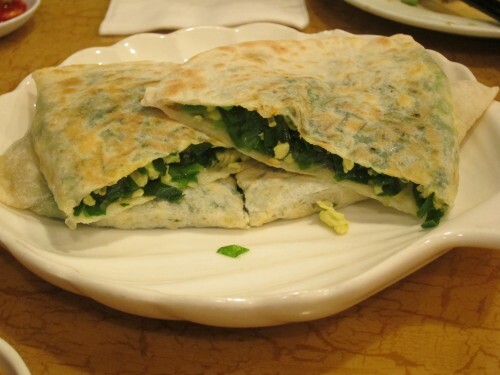 Other noteworthy dishes are the pancakes filled with glass vermicelli and the country-style green bean sheet jelly. 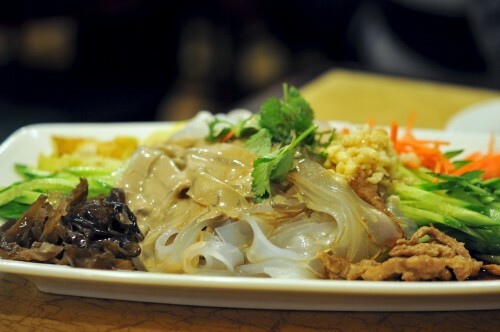 This entry was posted in CHINESE, Flushing, NEW YORK, QUEENS, TRAVEL: AROUND THE USA and tagged Best food in the Flushing Queens, Best food spots in Flushing Queens, best places to eat in Flushing Queens, Best restaurant in Flushing Queens, Best restaurants in the Flushing Queens, blog posts on Fu Run Restaurant in Flushing, blogs on Fu Run Restaurant in Flushing, critics reviews on food at Fu Run Restaurant in Flushing, food ratings Fu Run Restaurant in Flushing, Food reviews of Fu Run Restaurant in Flushing best food spots Flushing Queens, how is the food at Fu Run Restaurant in Flushing, how was your experience eating at Fu Run Restaurant in Flushing, rate the food at Fu Run Restaurant in Flushing, ratings Fu Run Restaurant in Flushing, reviews of Fu Run Restaurant in Flushing, Top 10 eating spots in Flushing Queens, what are the best dishes at Fu Run Restaurant in Flushing, what to eat at Fu Run Restaurant in Flushing, what to order at Fu Run Restaurant in Flushing, where to eat in Flushing Queens, Where to eat in the Flushing Queens, would you recommend Fu Run Restaurant in Flushing. Bookmark the permalink.